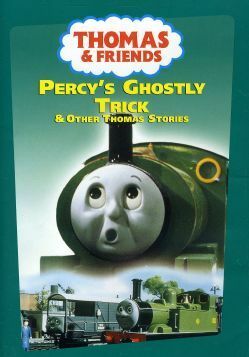 Plot All aboard for ghostly adventures as Percy has Thomas thinking he's just seen a ghost! But on their next escapade, the tables turn when Percy puffs away into a giant pile of hay! Oliver learns that trucks can be troublesome and helps Donald and Douglas rescue Thomas, the cheeky, mischievous engine. So join in the festivities with Thomas & Friends, where there are laughs and surprises around each bend! Featuring the episodes: Percy's Ghostly Trick, Woolly Bear, Thomas and Percy's Mountain Adventure, Escape, Oliver Owns Up and All at Sea.